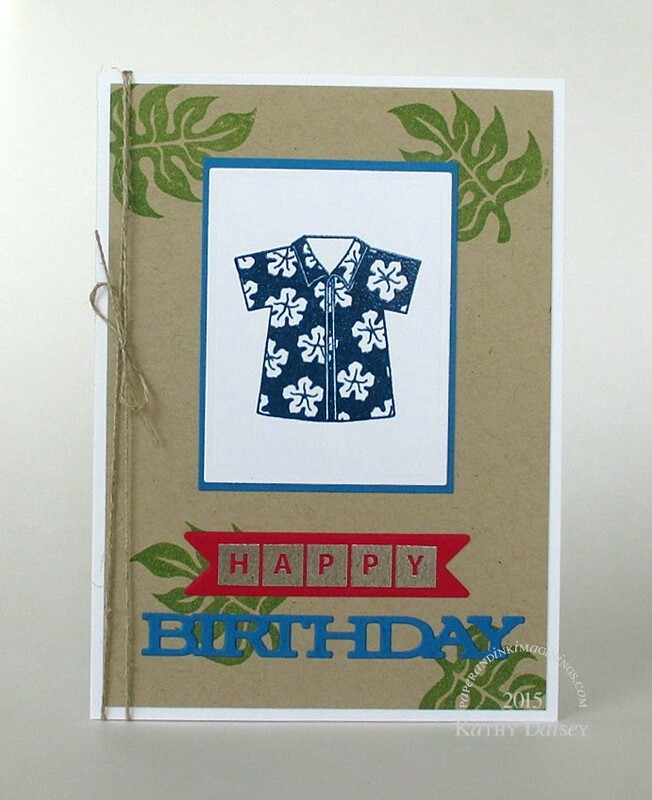 I needed a male Hawaiian shirt themed card for personal use. Supplies: Stamps – Papertrey Ink, Stampin’ Up!, paper – Neenah Classic Crest Solar White, Papertrey Ink Kraft, Stampin’ Up! Pacific Point, Real Red, inks – Stampin’ Up! Wild Wasabi, VersaFine Deep Lagoon, dies – Papertrey Ink (word), Spellbinders (rectangle), Taylored Expressions (banner), embossing powders – Filigree Fine Art Powder clear, Ranger Liquid Platinum, linen thread – Stampin’ Up! Categories: birthday, card | Tags: card, Neenah, Papertrey Ink, Ranger, Spellbinders, Stampin' Up!, Taylored Expressions | Permalink.